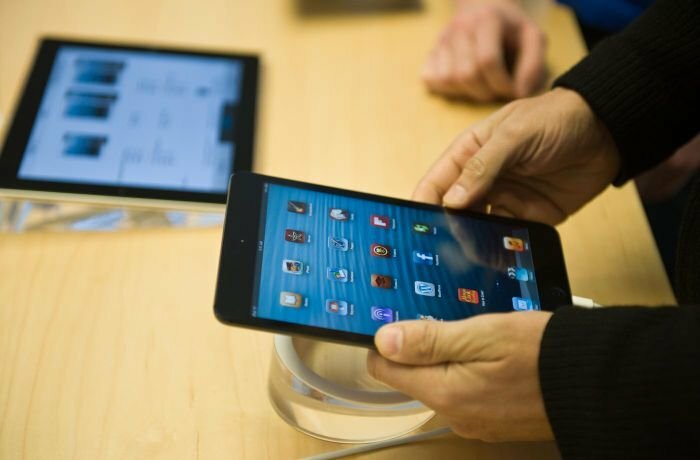 The American Company released the fifth generation of iPad to the market? What are its specifications? And how is it compared to other tablets? 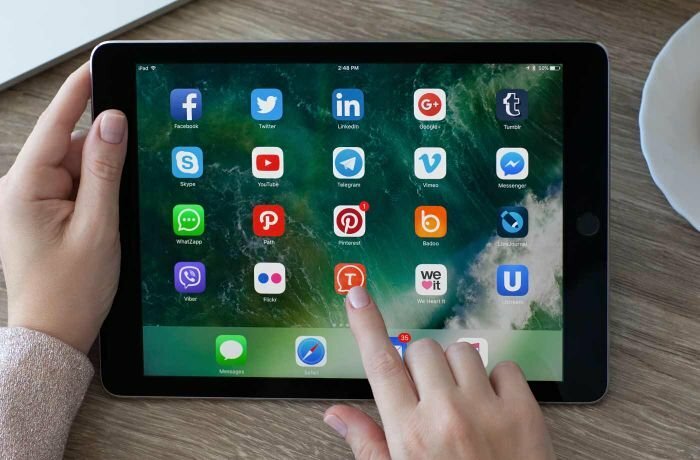 After the American Company Apple released their tablet iPad Pro last year, they are back again with a new fifth generation of iPads. Apple did not consider iPad Air and iPad Pro as a new generation and therefore, this new release is their fifth. We will learn through this article about the specifications of the new iPad 9.7, and Labeb will do a quick comparison between it and older iPad versions. Weight: 469 grams for the WiFi version, and 478 grams for the LTE mobile network version. Screen:7-inch IPS LCD touchscreen (which is usually used by Apple) covering 71.6% of the tablet’s front side with a resolution of 1536x2048 pixels (264 pixels per inch). Protection: The screen is covered in a layer of the scratch and break resistant Corning Gorilla glass. Operating System: Apple’s iOS 10.3 operating system. Processor: dual-core Apple A9 processor with a frequency of 1.84 gigahertz per cell. Graphic Processor: Hex-core PowerVR GT7600 graphic processor. Memory Capacity: Available in two versions: the first has 32 gigabytes internal storage and the second has 128 gigabytes internal storage. Both versions have 2 gigabytes RAM. Camera: The back (main) camera has a resolution of 8 megapixels with features like auto-focus and recording videos with FullHD resolution (1080 pixels). The front (selfie) camera has a resolution of 1.2 megapixels and can record videos with HD resolution (720 pixels). Battery: Powered by a non-removable 8610 mAh battery. 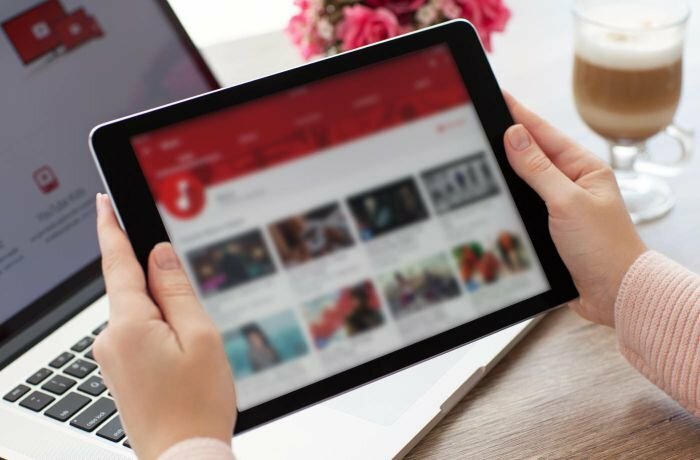 Release Date: The tablet was announced in March 2017 and was available in the market then. What Differentiates iPad 2017 from other Tablets? Apple is still maintaining their high quality performance. With the A9 processor developed by them (which is also used in iPhone 6 and iPhone 6 Plus), the user will not encounter any problems during usage. Even though there is only 2 gigabytes RAM, iOS operating system is highly compatible with the memory. Many applications left running can be quickly accessed if not closed periodically. As always, the screen has a high resolution and accuracy. It is usually referred to as Retina by Apple (density equivalent to the eyes retina) with 264 pixels per inch; providing the user with many fine details and clarity without pixelated numbers or lines. iOS operating system is a fast response one. It is developed by Apple for its portable devices. While operating on A9 as well, the user will be able to open many applications. And with the big screen, the user can also divide it into two parts: each one with a different application. This will make it easier to use two applications at the same time. There is also good news for music lovers. After Apple removed the 3.5 millimeter jack from their newest iPhone (which HTC did in U Ultra as well), Apple returned it in this tablet. This is a logical move since the device is big and can easily fit a 3.5 millimeter jack. The large space also allowed Apple to install dual speakers. Even if the speakers used in iPad 9.7 may not be the best in portable device; it is installed on both sides of the charging port; giving a good audio sound hard to hide by a hand. Speaking of the big size, Apple equipped iPad 9.7 with a large 8610 mAh battery to power the 9.7-inch screen and for using it for long periods without needing a recharge. Apple states that the battery will power the device for 10 hours when using it (including watching YouTube and using other applications). Experts at Apple also equipped iPad 9.7 with a fingerprint recognition sensor for unlocking the device. Nowadays, this feature is considered essential as it guarantees more safety and security. The sensor is located on the home screen button on the iPads front screen. iPad 9.7 will have a price beginning at 330 USDs for the 32 gigabytes version, and 430 USDs for the 128 gigabytes version. And when comparing the price to the features and specifications, it seems that the cost is a highly reasonable and affordable. 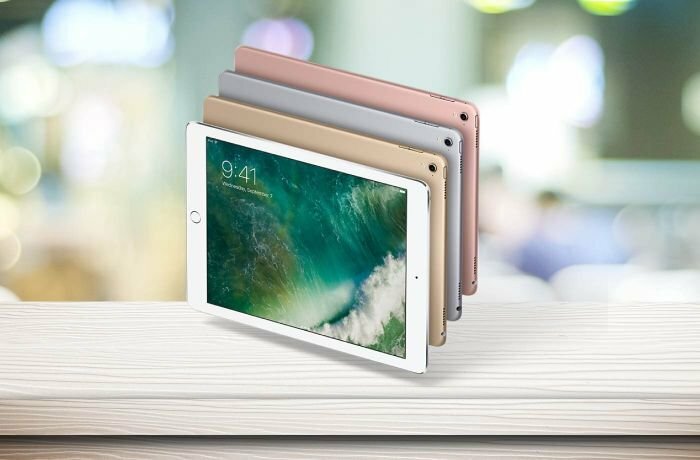 How did iPad 9.7 fail when compared to other Tablets? One of the mishaps in this tablet is its camera. The back camera is normal and can perform the usual photography tasks. The front camera with its resolution of 1.2 megapixels and 720 pixels video recording was highly disappointing. Also the screen has some issues despite all the advantages we listed above. It has a thin layer surrounding it giving a weird usage feeling. The user does not feel the icon’s (application) touch like in iPad Pro and iPhones, as it feels like there is a barrier between the finger and icon. This iPad may not be Pro Apple users top choice (people who uses Apple devices extensively). Also, some features released in iPad Pro (like the e-pen), is not compatible with this tablet. Also, the weight and thickness were not in iPad’s Air standard. We are used to the light (air) feel when using Air Apple products and this iPad did not give us this feel at first. Dimensions and Weight: The two iPads have the same lengths, widths and screen size. However, iPad 9.7 has a thickness of 5 millimeters while iPad Pro has a thickness of 6.1 millimeters. Also, iPad 9.7 (WiFi only version) has a weight of 469 grams while iPad Pro (WiFi only version) weight 437 grams. And iPad 9.7 (LTE version) weight 478 grams while iPad Pro (LTE version) weighs 444 grams. Internal Storage: With no additional SD Card slot, the new iPad 9.7 provides two internal storages: 32 and 128 gigabyte; while iPad Pro has three: 32, 128, and 256 gigabytes. Camera: iPad Pro has a back camera with a resolution of 12 megapixels and an f/2.2 lens aperture with 4K video recording quality and slow-motion recording 240 frames per second with a resolution of 720 pixels. The front camera has a resolution of 5 megapixels and an f/2.2 lens aperture as well; it also has a resolution of 1080 pixels when recording videos and slow motion similar to the back camera. iPad 9.7 has a back (main) camera with a resolution of 8 megapixels and recording videos with FullHD resolution (1080 pixels). The front (selfie) camera has a resolution of 1.2 megapixels and can record videos with HD resolution (720 pixels). When taking the price out of the equation, iPad Pro is a clear winner in this category. Processor: Even though iPad 9.7 uses the same processor used in iPhones (Apple A9), iPad Pro uses a stronger processor: Apple A9X. Apple A9X is also a dual-core processor but with a 2.16 gigahertz frequency and so it has better performance. Graphic Processor: iPad 9.7 operates on a hex-core PowerVR GT7600 graphic processor while iPad Pro operates on a 12-core PowerVR Series 7 graphic processor. This processor has a great performance when processing 4K videos. Battery: iPad Pro is equipped with a battery with a capacity of 27.8 watts per hour. Apple states that it can last for 10 hours. iPad 9.7 has a battery with a capacity of 32.4 watts per hour, and Apple also states that it can last for 10 hours. This seems like a strange thing but it might be because iPad 9.7 has higher screen brightness. Price: As we mentioned above, iPad 9.7 has a price of 330 USDs for the 32 gigabytes version and 430 USDs for the 128 version. iPad Pro 2016 with its 9.7-inch screen has a price of 600 USDs for the 32 gigabytes version, a price of 700 USDs for the 128 gigabytes version, and 800 USDs for the 256 gigabytes version. Even though the new iPad 9.7 lacks many of the features in iPad Pro 2016, it is still an exceptional iPad especially when it comes to its price. With prices of 300 and 460 USDs, iPad 9.7 is certainly a good deal.